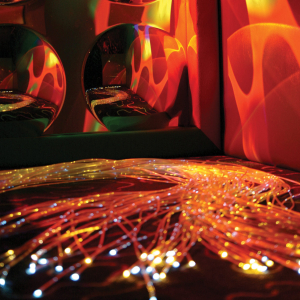 At TFH, we have been designing and installing Multi Sensory Environments (MSE) and sensory rooms for over 25 years in a variety of settings including schools, hospitals, nursing homes, day centres, health centres, development centres, autism programs (for both adults and children), hospices and private homes. This success spans two continents with offices in the UK, USA and Canada. Because every Multi Sensory Environment is unique, it is important that we visit the site and discuss with you, the customer, exactly what you want to achieve so that we have a good understanding of your goals. Our years of experience enables us to offer advice and recommendations to help you reach those goals. We will then provide an easy to read scale plan in 2D along with detailed and itemised costs. We can also provide valuable advice and plans for architects, builders and especially electricians. Up to this point it is completely FREE with no obligation. Once you are completely happy with all aspects of the design and quotation and want TFH to install your room we would arrange a convenient date to come in and do the work. A TFH installation typically takes less than a week. Once the sensory room is finished, we are happy to provide free familiarisation training afterwards to ensure everyone understands how the equipment works. All our equipment is guaranteed against normal wear and tear for 12 months and we pride ourselves on our after sales service.